Despite the increasing level of urbanization, the housing preference for small-scale housing is still dominant, not least because of the gardens. Urban planning and housing design hence constantly seek options to deliver the housing preferences for small house living. In the Finnish context, one vividly discussed opportunity in this setting is the townhouse typology. The townhouse offers various opportunities, both regarding the urban cityscape and individual home creation. Indeed, making a house become a home is an important process to residents. An essential part of this is that the residents have the possibility to personalize their own dwelling, including the outdoor spaces like gardens and yards. This process, nonetheless, demands domestic governance, and privacy. This article scrutinizes the home-making process in the light of three studies that all reflect the domestic space as experienced by inhabitants in townhouse-related contexts. The results are presented in a form of hierarchical examination to reflect the domestic governance. The examination indicates that townhouse-related living is compressed with aspects that may either boost or hinder the home-making process. Concurrently, this article suggests that in addition to understanding the role of gardens as part of townhouse design, even urban planners are required to pay attention to the role of gardens as part of the home-making process. For this purpose, the hierarchical analysis offers one prominent approach. AEF 2014. Energy-efficient townhouse. Available at: http://energyefficiency.aalto.fi/en/research/townhouse/ [Accessed 18 May 2014]. Æro, T. 2006, “Residential Choice from a Lifestyle Perspective”, Housing, Theory and Society, vol. 23, no. 2, pp.109-130. Altman, I. 1975. The environment and social behaviour. Privacy, personal space, territory, crowding. Monterey, CA: Brooks/Cole Publishing Company. Annison, J.E. 2000, “Towards a clearer understanding of the meaning of “home”.” Journal of Intellectual & Developmental Disability, vol. 25, no. 4, pp. 251-62. Bhatti, M. 2006, “”When I’m in the garden I can create my own paradise”: Homes and gardens in later life”, The Sociological Review, vol. 54, no. 2, pp. 318-341. Bhatti, M. & Church, A. 2004, “Cultivating Natures: Homes and Gardens in Late Modernity”, Sociology, vol. 35, pp. 365-383. Comstock, N., Dickinson, L.M., Marshall, J.A., Soobader, M-J.,Turbin, M.S. Buchenau, M. & Litt, J.S. 2010, “Neighborhood attachment and its correlates: Exploring neighborhood conditions, collective efficacy and gardening”, Journal of Environmental Psychology, vol. 30, no. 4, pp. 435-442. Coolen, H. & Hoekstra, J. 2001, “Values as determinants of preferences for housing attributes”, Journal of Housing and the Built Environment, vol. 16, pp. 285-306. Coolen, H. 2008. The meaning of dwelling features. Conceptual and methodological issues. Delft University of Technology, Amsterdam: IOS Press. Creswell, J. W. 2009. Research design. Qualitative, quantitative, and mixed method approaches, 3rd ed. Thousand Oaks, CA: SAGE Publications. Dovey, K. Home and homelessness. In: I. Altman & C.M. Werner, eds. 1985. Home Environments. New York & London: Plenum Press. Ellilä, E. 2014. Herenhuisesta kaupunkitaloksi. Master's thesis. Aalto University, Department of Architecture. Evan, A. & Unsworth, R. 2012, “Housing Densities and Consumer Choice”, Urban Studies, vol. 49, no. 6, pp. 1163-1177. Expat 2012. Information about Finnish Housing companies. Available at http://www.expat-finland.com/housing/housing_and_utilities.html [Accessed 18 May 2014]. FINLEX. Law of Housing Companies, 2009/1559. Available at: http://www.finlex.fi/fi/laki/ajantasa/2009/20091599 [Accessed 12 August 2013]. Fogelholm, K. 2003. Espoon Säterinmetsä: tutkimus yhteenkytkettyjen omakotitalojen rakentamisesta. Ympäristöministeriö. Rakennustieto, Tampere: Tammer-paino. Hasu, E., Tervo, A. & Hirvonen, J. Townhouse - unelmakoti. In: Kuittinen, M. ed. 2014. Aalto-yliopiston Energiatehokas townhouse -tutkimushankkeen vuosiraportti 2014. Aalto-yliopisto. Helsinki: Picascript. Hasu, E. Kaupunkitalo - asukasunelmia ja todellisuutta. Malminkartanon Vuorenjuuren asukaskokemuksia. In: Norvasuo, M. ed. 2010. Asutaan urbaanisti! Laadukkaaseen kaupunkiasumiseen yhteisellä kehittelyllä. Yhdyskuntasuunnittelun tutkimus- ja koulutuskeskuksen julkaisuja B 99. Espoo: Yliopistopaino. Hasu, E. 2009. Koti pihalla. Kodin ulkotilat yksityisestä julkiseen. Asukkaiden kokemuksia asumisesta ja asumisen laadusta. Masters. Department of Architecture, Helsinki University of Technology. HS. Kalasataman kallis pientalorivi muuttuu kerrostaloksi. Helsingin Sanomat 1.4.2014. Hämäläinen, T. 2013. Why townhouses? A comparative study of emerging housing concepts in Helsinki and Stockholm. Masters. Vrije Universiteit Brussel. Available at: https://theportfolium.com/portfolium/2013/9/11/Timo-Hamalainen/MASTERS-THESIS [Accessed 20 May 2014]. Kauklahti loppuraportti 2006. Available at http://www.asuntomessut.fi/sites/default/files/loppuraportti_espoo.pdf [Accessed 20 May 2014]. Jalkanen, R., Haapanen, S., Helander, H., Hellman, P., Koponen, R., Levanto, R., Manninen, R., Pulkkinen, S., Siivola, M. & Saarikko, T. eds. 2012. Townhouse-rakentaminen Helsingissä. Helsingin kaupunkisuunnitteluviraston julkaisuja 2012. Lapintie, K. 2010, ”Intohimon hämärä kohde. Mitä asukas haluaa?”, Yhdyskuntasuunnittelu, vol. 48, no. 2, pp. 41-57. Mallet, S. 2004, “Understanding home: a critical review of the literature”, The Sociological Review, vol. 52, no. 1, pp. 62-89. Malminkartanon pientalot 2005. Projektin kokemukset ja johtopäätökset. Helsingin kaupungin kiinteistövirasto. Tonttiosasto. Manninen, R. & Holopainen, T. 2006. Townhouse. Kytketty omatonttinen pientalo kaupungissa. Lähtökohtia ja tavoitteita. Helsingin kaupunkisuunnitteluviraston yleissuunnitteluosaston selvityksiä 8. Available at: http://www.hel.fi/hel2/ksv/julkaisut/yos_2006-8.pdf [Accessed 20 May 2014]. Marcus, C. C. 1995. House as a mirror of self: exploring the deeper meaning of home. Berkeley, CA: Conari Press. Moore, J. 2000, “Placing Home in the Context”, Journal of Environmental Psychology, vol. 20, no. 3, pp. 207-217. Mälkki, M. Kytketyt kaupunkipientalot ja urbaani rakentaminen. In: Norvasuo, M. ed. 2010. Asutaan urbaanisti! Laadukkaaseen kaupunkiasumiseen yhteisellä kehittelyllä. Yhdyskuntasuunnittelun tutkimus- ja koulutuskeskuksen julkaisuja B 99. Espoo: Yliopistopaino. Nassauer, J.I., Wang, Z. & Dayrell, E. 2009, “What will the neighbors think? Cultural norms and ecological design”, Landscape and Urban Planning, vol. 92, no. 3-4, pp. 282–292. Paadam, K. 2003. Constructing residence as home: homeowners and their housing histories. Ph.D. Tallinn Pedagogical University. Rapoport, A. 2005. Culture, architecture, and design. Chicago, IL: Locke Science Publishing Company, Inc.
Reagozci, W.C. 2003, “When context matters: a multilevel analysis of household and neighbourhood crowding on aggression and withdrawal”, Journal of Environmental Psychology, vol. 23, no. 4, pp. 457-470. Saarelainen, E. 2010. Helsinki townhouse - saavutettavuus kaupunkipientalossa. Masters. Tampereen teknillinen yliopisto. Sirgy, J.M., Grezeskowiak, S. & Su, C. 2005, ”Explaining housing preference and choice. 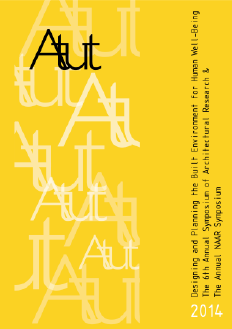 The role of self-congruity and functional congruity”, Journal of Housing and the Built Environment, vol. 20, no. 4, pp. 329-347. Sixsmith, J. 1986, “The meaning of home: an exploratory study of environmental experience”, Journal of Environmental Psychology, vol. 6, no. 4, pp. 281-298. Smith, S. 1994a, “The essential qualities of a home”, Journal of Environmental Psychology, vol. 14, no. 1, pp. 31-46. Smith, S. 1994b, “The psychological construction of home life”, Journal of Environmental Psychology, vol. 14, no. 2, pp. 125-136. Somerville, P. 1997, “The social construction of home”, Journal of Architectural and Planning Research, vol. 14, no. 3, pp. 227-245. Strandell, A. 2011. Asukasbarometri 2010 – asukaskysely suomalaisista asuinympäristöistä. Suomen ympäristö 31/2011. Helsinki: Edita Prima Oy. Terkenli, T.S. 1995, ”Home as a region”, Geographical Review, vol. 85, no. 3, pp. 324-334. Timmermans, H., Borgers, A., van Dijk, J. & Oppewal, H. 1992, “Residential choice behaviour of dual earner households: a decompositional joint choice model”, Environment and Planning A, vol. 24, no. 4, pp. 517-533. Tognoli, J. Residential environments. In: D. Stokols & I. Altman eds. 1987. Handbook of environmental psychology. Vol. 1. New York: John Wiley & Sons, Inc.
Ullrich, T. 2014. Saksalainen kytketty kaupunkipientalo inspiraation lähteenä. Masters. Aalto University. Ulrich, RS. Effects of Gardens on Health Outcomes: Theory and Research. In: Marcus C.C. & Barnes M. eds. 1999. Healing Gardens. Therapeutic Benefits and Design Recommendations. New York: John Wiley & Sons. Vasanen, A. 2012, “Beyond stated and revealed preferences: the relationship between residential preferences and housing choices in the urban region of Turku, Finland”, Journal of Housing and the Built Environment, vol. 27, no. 3, pp. 301-315.